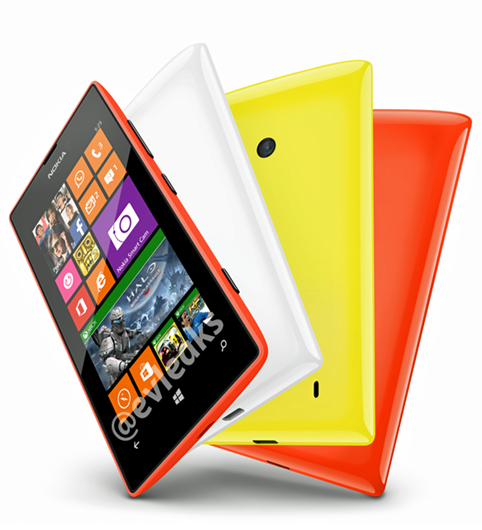 Yesterday, folks from evleaks posted the press image of soon to be launched, Nokia Lumia 525, codenamed "Glee", a successor of Nokia Lumia 520 with Windows Phone 8. This time, they leak the image from their new Facebook fanpage. As rumored before, the Nokia Lumia 525 will be focused on Music, and it will be bundled with the wireless stereo headset, Nokia BH-121 (codenamed "Guru"), that's also leaked from evleaks. Check out the leaked press image of the Nokia Lumia 525. As seen from the picture, the hardware design is very similar to the previously released Nokia Lumia 520, except the back cover which looks slightly more curvy, and with glossy finish. Networks: WCDMA 900/2100, 850/1900/2100, GSM/EDGE 850/900/1800/1900. Speed: 3G HSPA+ (21Mbps). Memory: 1 GB RAM, 8 GB mass memory, support for microSD cards up to 64GB, 7GB free SkyDrive storage. Display: 4” IPS LCD WVGA (800 x 480 pixels) 16M colors, 2D hardened glass, super sensitive touch for finger nail and glove use. Processor: 1 GHz Dual-Core Snapdragon™ 400. Camera: 5MP autofocus, HD 720p 30fps video recording. Size: 119.9 x 64 x 9.9mm. Connectivity: WLAN IEEE802.11 b/g/n, Bluetooth 4.0, Integrated A-GPS, 3.5 mm audio connector, Micro USB with charging, USB 2.0 High Speed. Audio: single digital microphone, 3.5mm AV connector, MP3 player, Nokia BH-121 Bluetooth Stereo Headphone. There's still no information about the price and avaibility yet. We will update the information soon when available.